An extensive guide to understanding how to grow muscle. To grow muscle, you need to stimulate your body by lifting increasingly heavier weights, within predetermined rep ranges, over time throughout your training. Muscles must be given time to rest and recover properly in order to maximise adaptation and growth. Appropriate sleep and nutrition are absolutely essential. With hypertrophy (muscle growth) it is important to understand the principles first. There are many different methods, but they are all built upon a basic set of principles. The following information is based on the extensive professional research and scientifically based teaching methods of Dr. Mike Israetal of RP Strength (link to RP Strength). For a deeper understanding of the principles that are discussed here. When it comes to hypertrophy training, the way you make gains is mostly by doing sets of 6-25 reps and over time using heavier and heavier weights for those reps. Weights should be at least 35% of your 1RM to cause much growth. If you are not close to failure with the final few reps then the weight is simply not heavy enough or you aren’t doing enough reps per set. 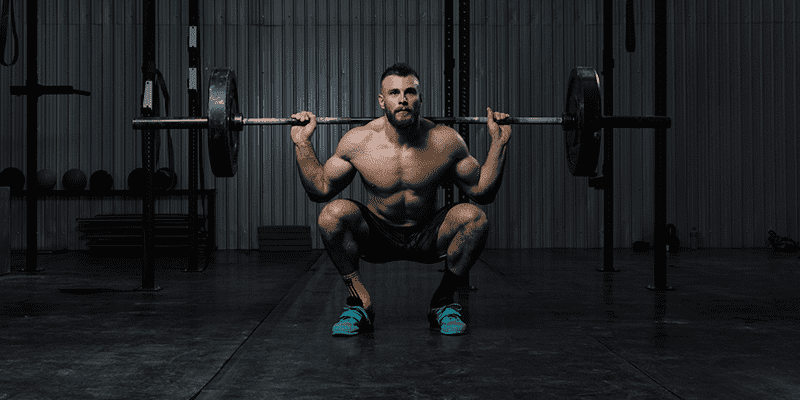 Ascertaining the correct training volume for yourself, based on your personal physiology, genetics, lifestyle and training history plays an important role in hypertrophy training. How much volume you need to maintain your gains. The least amount of volume necessary to make gains. This is the range of volume in which you will make your best gains. This will change throughout different training mesocycles (see description below), as your body adapts and grows in response to the training stimulus. If you exceed this level then your body is simply not able to grow and recover in response to the training. Consequently you will impede your own progress. Hypertrophy training works effectively in cycles. The best way to understand this to divide training into Macrocycles, Mesocycles and Microcycles. The Macrocycle describes the entire period of time that you want to spent on hypertrophy work. For argument’s sake, let’s say that you want to dedicate 18 weeks towards hypertrophy. This block of time would be called the Macrocycle. Mesocycles are blocks of time where you will work from the lower end of your adaptive volume (the range in which you will make your gains) to the upper end, before deloading and beginning the next Mesocycle. Within the 18 week Macrocycle described above, you may have 3 different Mesocycles, each 6 weeks in length. These will build on each other, increasing in weight and volume in order to stimulate muscle growth. Microcycles describe the training program for each week. To follow the same example as above, there will be 6 Microcycles in each Mesocycle and 18 Microcycles in the overall Macrocycle. Microcycles can also be deload weeks. To give your body the quality time and repeated overload stimulus needed to grow best, starting at the low end and ending at the high end of your adaptive volume range is a great way to structure your training. In order to do that you have to find your minimum effective volume (MEV), determine your maximal recoverable volume (MRV), and then plan most of your mesocycles between the two. Here is an example of such a structure as outlined by Dr Mike Israetal. Now let’s put these theories into practice and see how they would affect two different muscle groups in the human body, the chest and biceps. Maximal range of motion is essential for chest based hypertrophy work. This part of your body is designed to be stretched under load, so this is a natural position and motion in order to stimulate growth. Presses – Take them as low as you can. 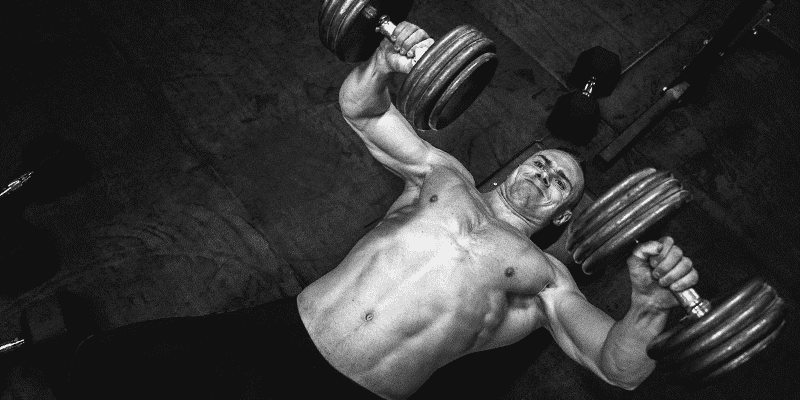 You must touch your chest when using a barbell and go even deeper when using dumbbells. Incline pressing moves that train mostly the clavicular (upper chest) fibres. Horizontal pressing moves that train the whole chest. Isolation moves that train the chest without involving the triceps. Using the word ‘Biceps’ refers to the muscle group more accurately termed the “forearm flexors”. This is made up of include the biceps, the brachialis, and several other muscles and supporting muscles. If you generally don’t train biceps directly, yet still make gains in size and strength then no direct biceps work is really needed to keep your gains, so long as you’re doing plenty of pulling work (such as rows and deadlifts). 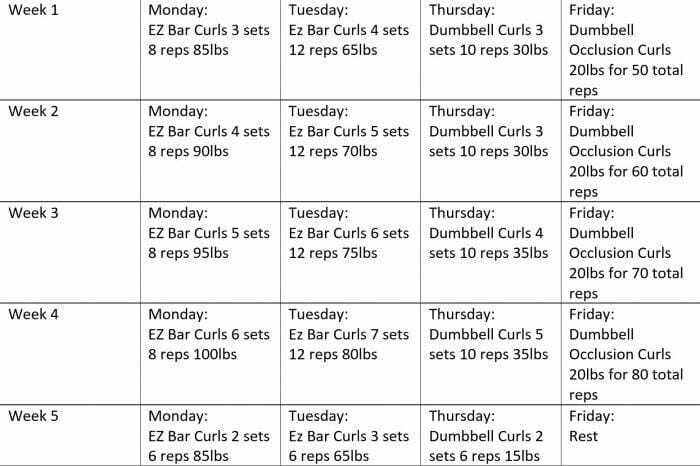 If you are accustomed to focusing on your biceps directly then 4-6 direct sets per week is a good number to keep in mind when you want to maintain your gains. If you are an intermediate-advanced lifter then you will probably need at least 8 sets of direct biceps work per week to make gains. 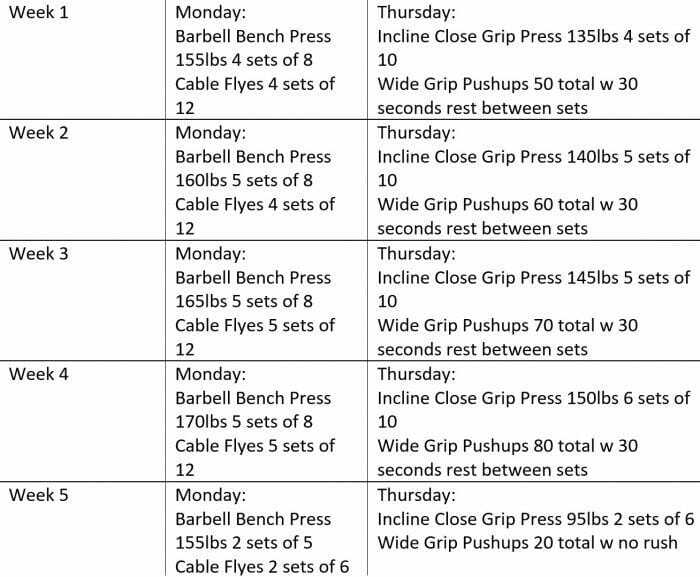 Experiment with this number is your program contains a higher focus on pulling work for the back (for strength, technique or speed) as you may be able to gain mass with lower numbers of sets per week. The vast majority of people respond best between 14 and 20 weekly sets. Biceps play a role in shoulder flexion (they can get a great pump from from chest flys for example), and can be taxed significantly through close grip pulling during back training, but if you want to target your biceps precisely, add in a variety of curls. “Only squats might be more commonly ROM-abused than bicep curls. If you can limit your ROM on curls, you will of course have all the boys and girls vying for your attention in the gym and you’ll be the king. Alternatively, if you actually want to grow your biggest arms with the smallest chances of injury, go all the way down and come all the way up when curling. Do you have to engage some shoulder flexion at the top of the movement? You can (biceps are also shoulder flexors), but you don’t have to. But if you’re not at least going all the way down and coming all the way up, you’re likely missing out on the growth-promoting effects of full ROM.” Dr. Mike Israetal. Take a Dumbbell set you can curl for about a 30RM. Do curls until you’re one rep shy of failure, do not remove occlusion. Finish when you’ve totaled a certain rep number, no matter how many sets it takes. Trying for 50 reps on your first microcycle and adding 10 reps each micro while keeping weight the same is a good idea! Now you are familiar with the principles of hypertrophy, it is time to look at the importance of rest, recovery and nutrition. Sleep is vital if you are serious about hypertrophy training. Your body recovers, grows and adapts when you have left the gym, so you make gains whilst you aren’t training. Even one night of impaired sleep increases cortisol which causes dysregulated blood sugar and increased inflammation. Since all of your hormones work in unison, that dysregulated blood sugar and increased inflammation is linked to reductions in testosterone and growth hormone in addition to thyroid health. Gherlin and leptin, hunger hormones, will be off and thereby increasing fat storage, hunger levels and your ability or inability to use fuel properly. Wind down and shut off all electronic devices at least 1 hour before going to bed. 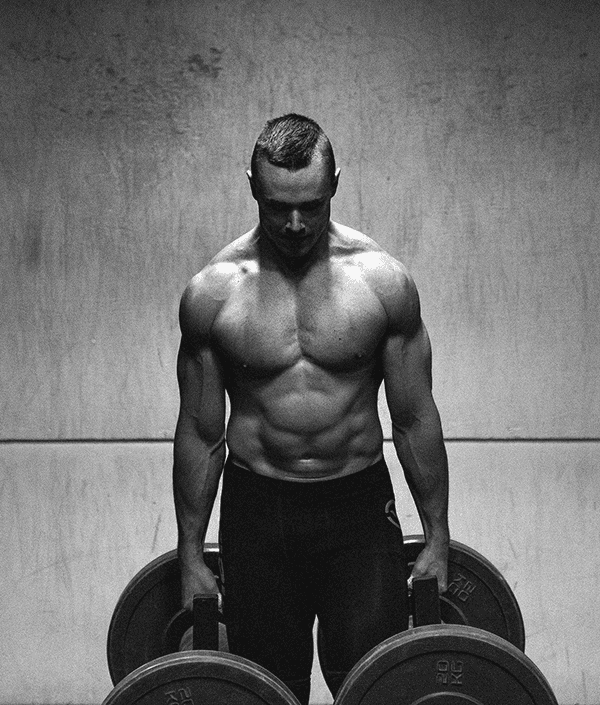 Without proper nutrition, the vast proportion of your hypertrophy training is essentially useless as you will just burn yourself into the ground. Make no gains and have zero energy when training, or proper fuel for recover. RP Strength offer individualised nutrition coaching and personalised templates designed exclusively for you and your exact goals. They take into account height, weight, gender and age. These templates include phases that adjust the precise amounts of macronutrients you will need, based on how your body is changing at that particular time. This is determined in relation to your goals, whether that is to lose weight, gain muscle etc. In alignment with your goal, you will be given a rate that allows you determine whether you are on track or not, and help to perfect your nutrition. The Renaissance Periodization Templates are designed with in built transition periods to help you perfect your nutrition. These are created to help ease you into a new way of eating, and avoid any sudden shock to the system. Quality is the result of intelligent effort, and your nutrition must be understood in the same way. Smaller incremental changes will allow you to transfer through different phases for a predetermined period of time, thus building muscle, losing fat, improving performance and achieving your goal. Once you have achieved your desired results, you then adapt to the new base template that will help you to maintain your newly achieved weight. For example, if you are looking to build muscle, but you also need to maintain consistently high-performance levels, then the calorie balance and macronutrient ratio will be carefully calculated to ensure that your body is fed with enough protein, whilst also maintaining a high enough level of fats and carbohydrates to fuel performance. Perfect your nutrition – The formation of positive eating habits, of building an understanding of the right food choices, of establishing the 80% combination of the correct caloric intake and macronutrient ratio are all programmed into the template itself in order to ensure a positive routine and the achievement of your respective goal.